This article series is about my honeymoon in Japan this September… This is Part 4, I hope you enjoy it! We left our luggage at the Chisun Inn Asakusa hotel, and immediately had dinner at an Indian restaurant right next to the hotel. Then, we headed to Roppongi (六本木), to get a taste of Tokyo’s nightlife. Sadly, this wasn’t nearly as exciting as it sounds – we just had a drink or two at one of the bars, and all the other customers there were some other tourists. Some of the others in our group apparently went to a club afterwards, but they didn’t have particularly exciting memories to share, either. On the next day (a Sunday), we were met with the consequences of a typhoon, which, in Tokyo, amounted to just some heavy rain. 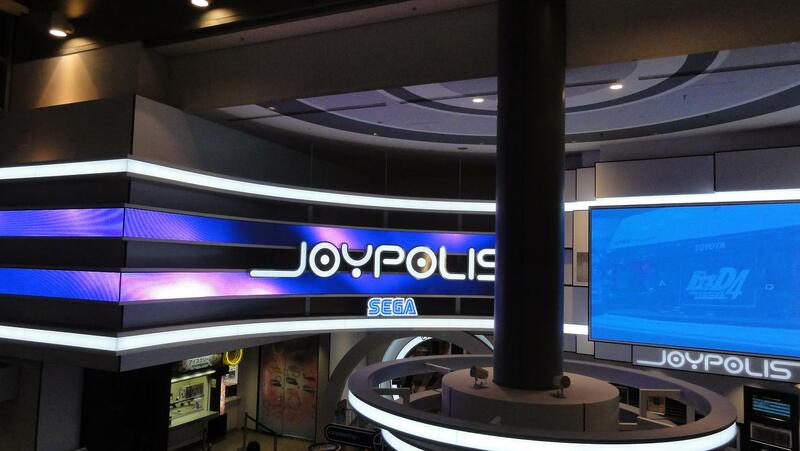 Still, we couldn’t let that stop us from going to Harajuku (原宿), the Japanese Champs-Élysées. There were many clothes shops, some galleries and expensive cafés around, hardly something to catch my attention. But then we came across a Japanese wedding, which was really cute. 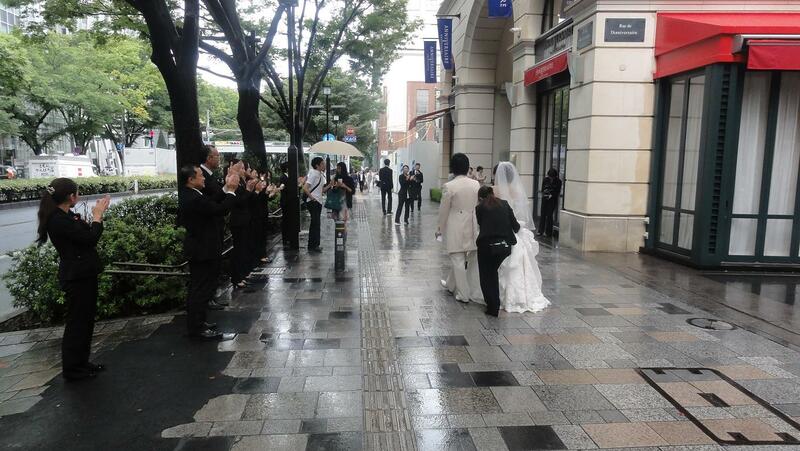 The couple, dressed in modern wedding clothes, walked into the hotel, and all the staff were outside and clapping and yelling “Omedetou!” (おめでとう！), which means “Congratulations!” We joined in, as did other bypassers. Later, we saw a monstrously huge queue before a café called “Eggs ‘n Things” as it was about to open. I still ponder why people had lined up like that – it’s not like there weren’t five other places that didn’t look much different in the vicinity. 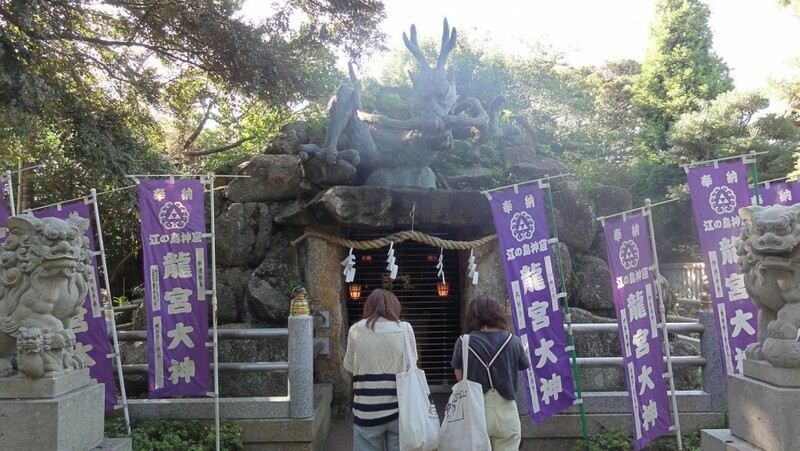 Then, we headed to Yoyogi park on our way to the huge Meiji shrine. The park was quite beautiful, and there was yet another nice river (Japan has so many rivers!) that I could stop above and enjoy the flow of its water. 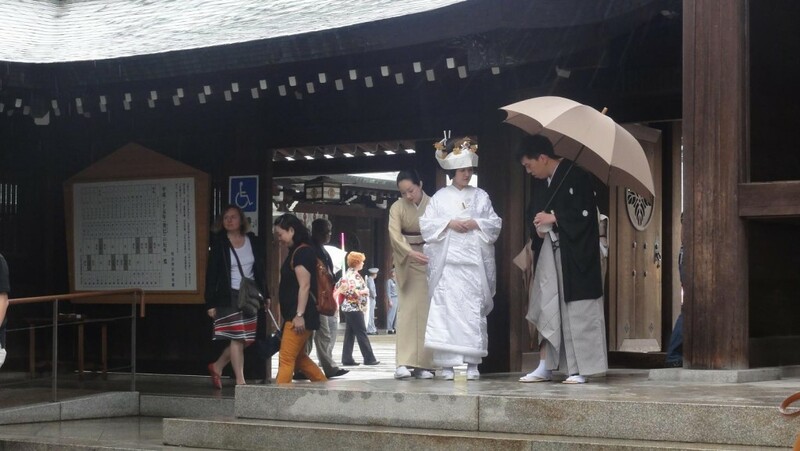 Once at the shrine, we noticed another wedding, and, to our delight, the couple were dressed in traditional Japanese wedding attire, the bride wearing a large hat to “hide her horn” (a legend we’d heard in Nikko says women have horns until they get married)! They looked great in their fascinating clothing, and there were priests walking along with them, completing a mystical atmosphere. Afterwards, we headed to Takeshita street, known for attracting teenagers for shopping. There were really quite a few of them there, and we also ate crêpes that are apparently typical of that particular street. I picked a strawberry chocolate one, and it was quite delicious, containing cream, strawberries and chocolate ice cream. There were tens of others different flavours, including tuna and cheese ones, my wife tried the tuna variety. Soon after, we headed to the Imperial Palace Gardens, which failed to really impress after having been in so many other beautiful parks. 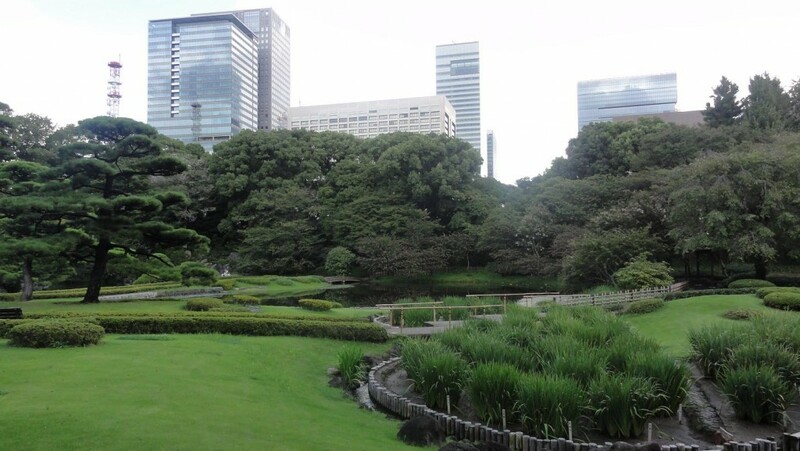 Still, they were a nice green relief from the hectic life of Tokyo. We couldn’t enter palace buildings – apparently, that’s only possible on a couple of days in the year. 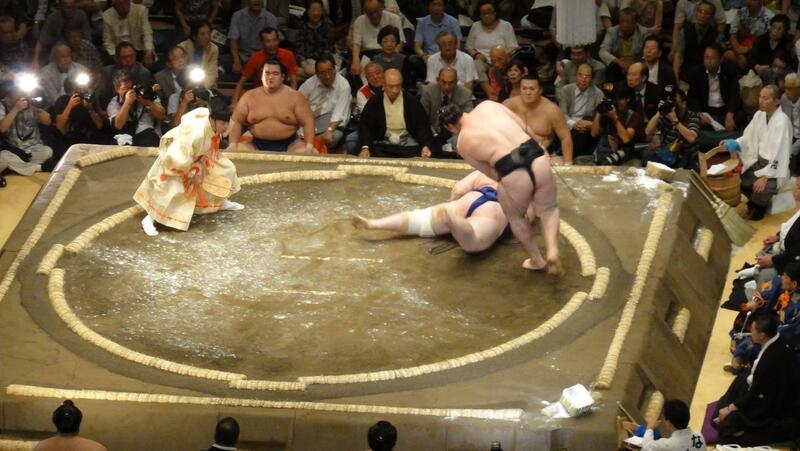 Then, it was sumo time! The opportunity to see a sumo matchday from September’s Aki Basho (tournament) in Tokyo had surfaced already before we left, and the vast majority of the group embraced the idea, especially since there are two Bulgarians in the top division – the ozeki Kotooshu (琴欧洲) and the maegashira Aoiyama (碧山). The draw had played a little joke on us, and they were to face each other on the very first day of the tournament – the one we attended. 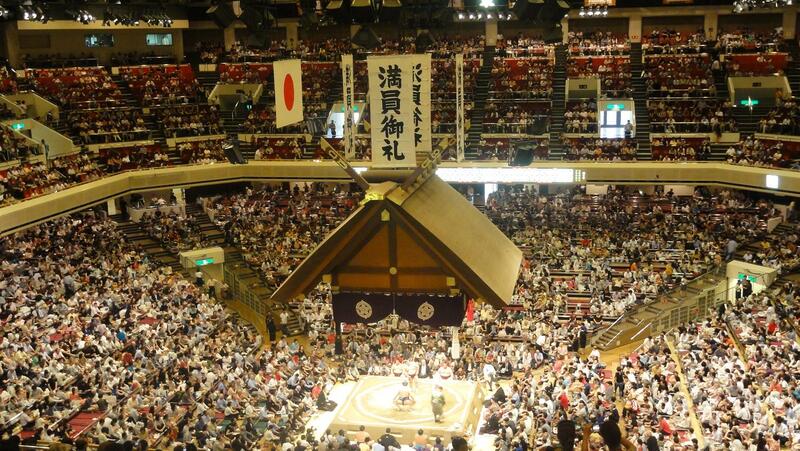 The sumo arena at Ryogoku (両国) was really huge, and there were lots of people willing to watch the bouts, even though we’d gone in the afternoon for the main division’s bouts only (the lower divisions start battling from the morning). Once inside and at our seats, the Japanese people on the row above saw we were a group and started asking where we were from. They were quite excited to learn we were Bulgarian like Kotooshu – after all, he is among the Top 5 in the world of sumo not only in terms of skill, but also popularity in Japan! The bouts rolled one after another and it was soon time for our boys to face each other. There were five sponsor banners – the more sponsor banners, the more money is awarded to the winner of a match. One of them was the well-known Bulgaria yoghurt I’ve mentioned earlier. As usual with sumo, the bout itself is not nearly as long as the grand preparation for it, with the salt being thrown to “purify” the dohyo (ring), and the wrestlers taking stances to intimidate each other. We were all chanting “Balragi, yunatsi!” (“Bulgarian heroes!”) as they were getting prepared and when they clashed, all the Japanese around were turning to look at us. The ones behind us we had talked to beforehand even joined our chant with their improvised Bulgarian, which was really cute. 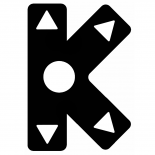 Kotooshu won the bout, bringing his compatriot to the ground. We got directions to the Ghibli museum and picked a concert to get tickets for, noticing an incredibly interesting camera lens + phone combo, where the camera lens is connected wirelessly to the phone. Then, you can fully control the lens from the phone, giving you the ability to not only take much higher quality photos than you would with the normal phone camera, but also do interesting things like take a picture inside a hole your phone couldn’t fit through. (Apparently, this is the Sony Cybershot QX10.) Then, we headed downstairs to see what other things there were to see. Unfortunately, the PlayStation 4 was not yet on display, which was a major disappointment, but they were no doubt keeping the hands-on experience for the upcoming Tokyo Game Show. The other relatively interesting thing we saw were some VR glasses, but the demo failed to convince they were anything more than regular 3D glasses… They should’ve picked something better. After wandering some more around the neighbourhood, we came across the actual Ginza street, marked with many Japanese flags through its entirety. If not for that, it’d be really quite hard to tell apart from all other streets around it. And then, after a short reunion with the group agreeing to meet again in the evening, we headed to the Ghibli museum… But I’ll speak about it in the “Special” part at the end of this article series. 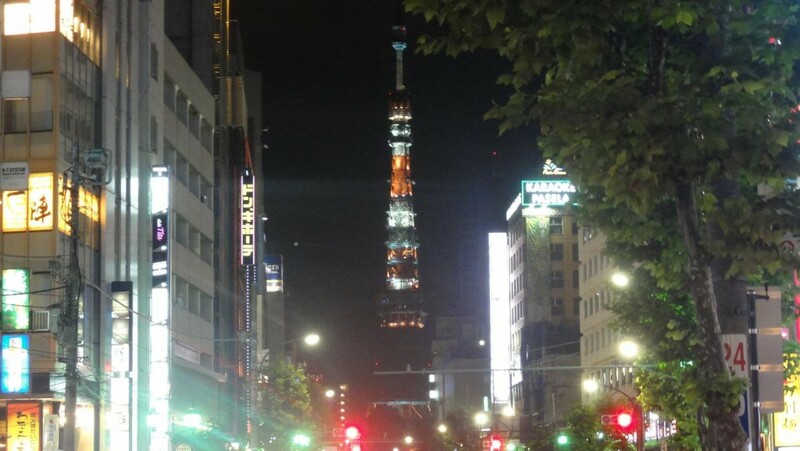 The night was actually a final night in Japan for the rest of our group… We were to stay 3 more days, but, for them, it had to be a special night. 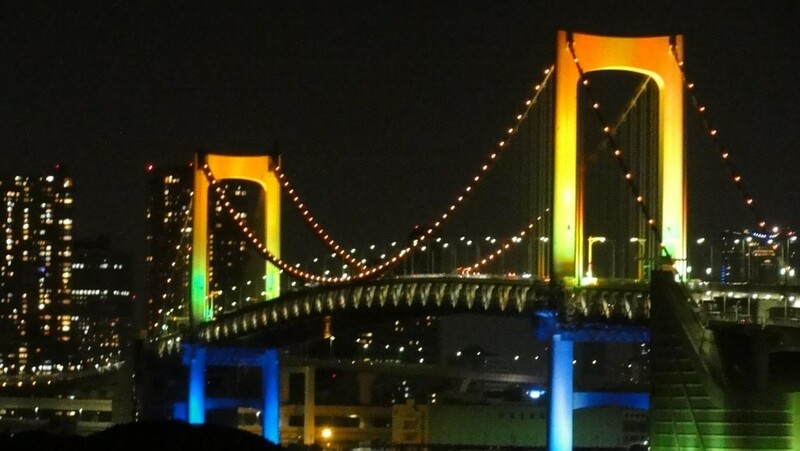 They’d decided to head to the Skytree, and, more specifically, the World Beer Museum bar. We joined them, and saw that the bar really had beer from all over the world, or almost – none from Bulgaria, sadly. 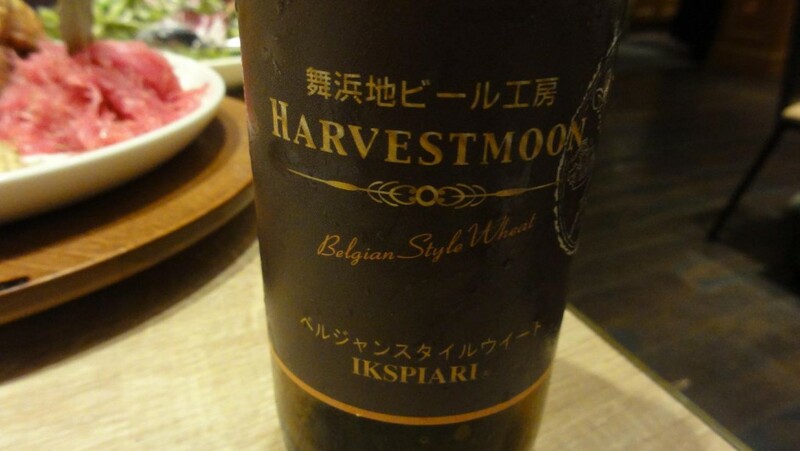 At the end, we had some Czech and some interesting Japanese beer from Chiba that was actually called Harvest Moon, like a game series I’ve only heard of, but not played. The waitress was quite nice, not only volunteering to take a picture of the whole group, but also insisting to repeat until she got the best shot possible. It was cute. And that was it for the day, we headed to the hotel to get some sleep. The next morning, we headed to the famous Tokyo fish market in Tsukiji (築地), known as the biggest fish market in the world. And it quite probably is… We walked for quite some time through it, but couldn’t even get a view in the distance at an end. 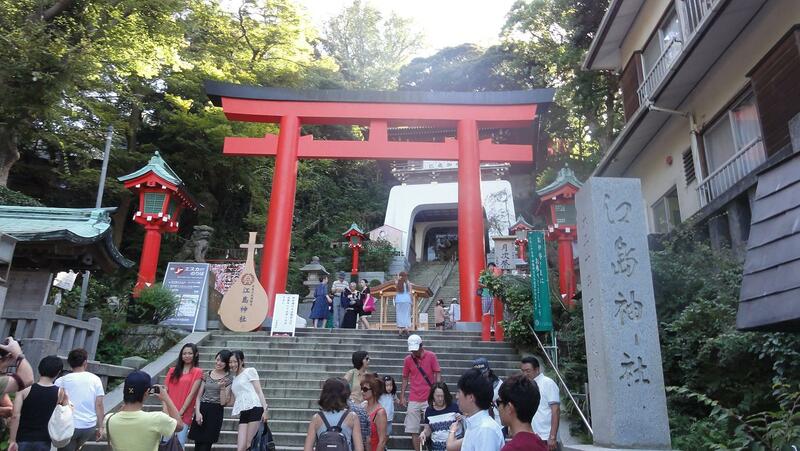 It was an interesting story, as we were there around 8:30, and it’s forbidden for tourists until 9:00. So, we split into small groups of 2-3 people, but, when encountered by patrolling policemen, many were asked to head back and wait until 9:00. 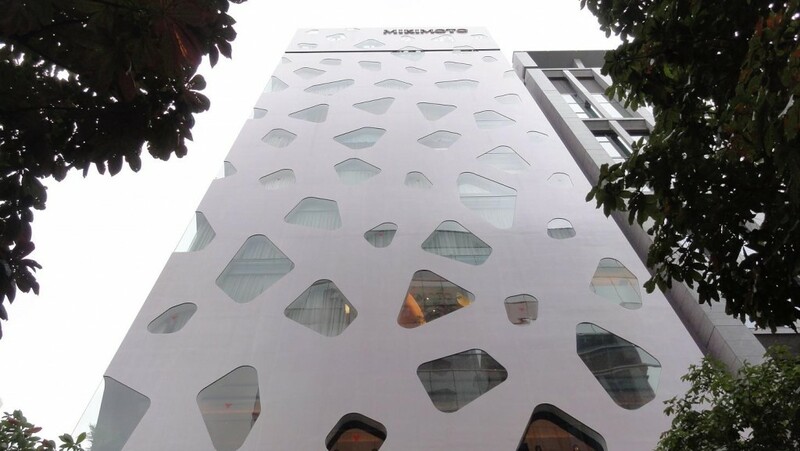 Me and my wife were lucky enough not to encounter any policemen, and browsed freely. There were all kinds of fish you could imagine and then some. 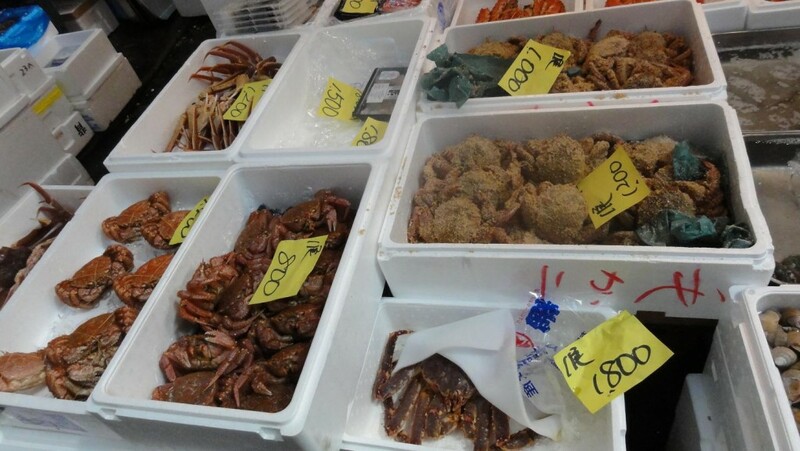 And not only fish, but crabs, squids, all kinds of sea creatures that were good for eating (and, for the Japanese, I feel that’s pretty much everything that lives in the sea). Of course, there are a lot of exotic species in Japanese waters. We didn’t buy anything from the market itself, but got really delicious tuna with sesame and soy sauce from a guy whose stand was right outside. 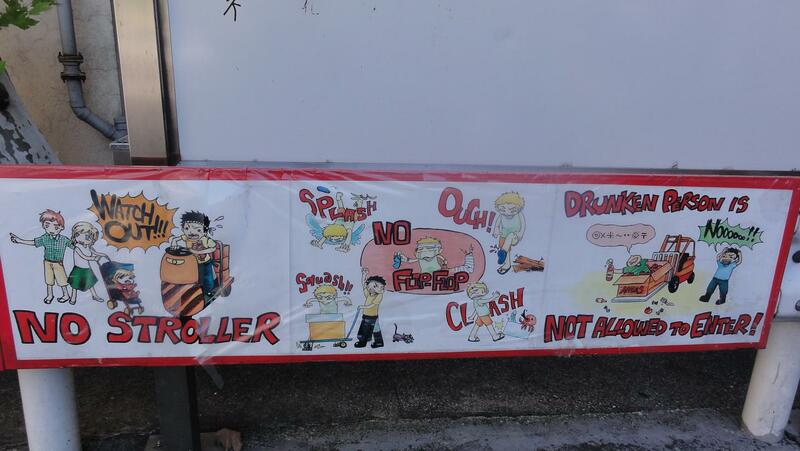 When leaving the market, we saw a really funny series of signs telling tourists how to behave on the market grounds. Then, we headed to Mt. Fuji, and, more particularly, the nearby Kawaguchiko where we’d be able to get a good view at the volcano. We took the JR train to Takao, which took well over an hour, and then we had to change to another railway company there… Unfortunately, due to complications caused by the typhoon, it turned out the other railway didn’t run that day. 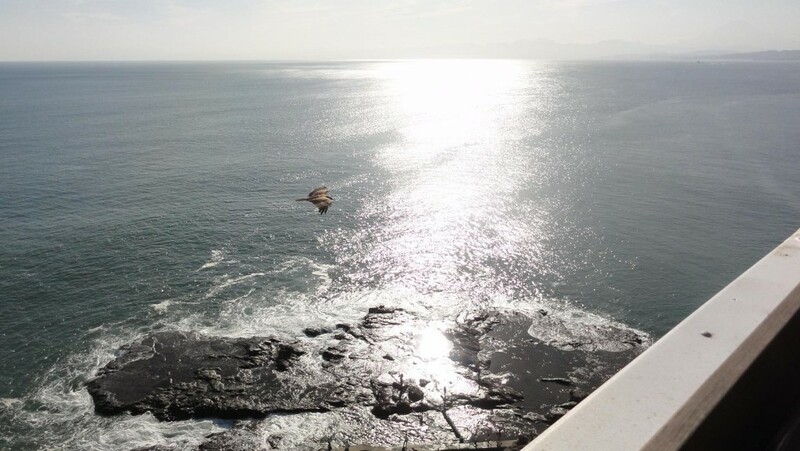 Aside from us, a lot of other people were angry – clearly, there had been a major misunderstanding, as the JR guys had sold us all tickets for the whole journey, which we now couldn’t make. 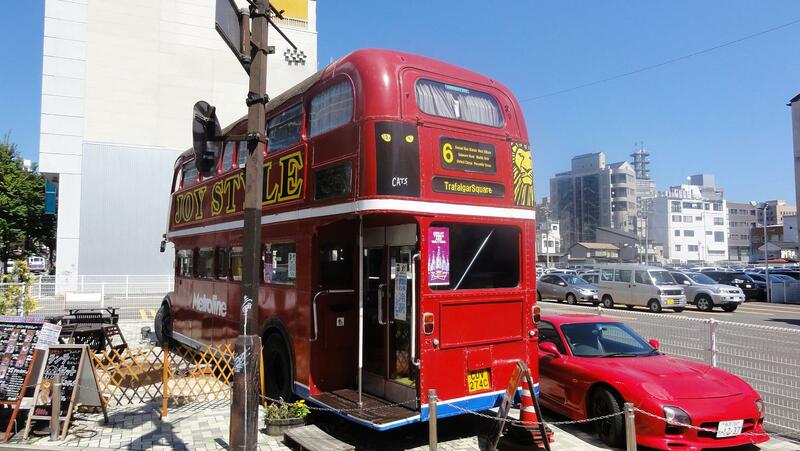 This was a big hit for the group – their last day in Japan was going to be ruined because of this. But our guide Martin managed to come up with a backup plan, and we immediately headed back to Tokyo and then to Enoshima Island (江の島), where it was also possible to see Mt. Fuji, albeit from a bigger distance. On our way back, we saw several cats having a good time. 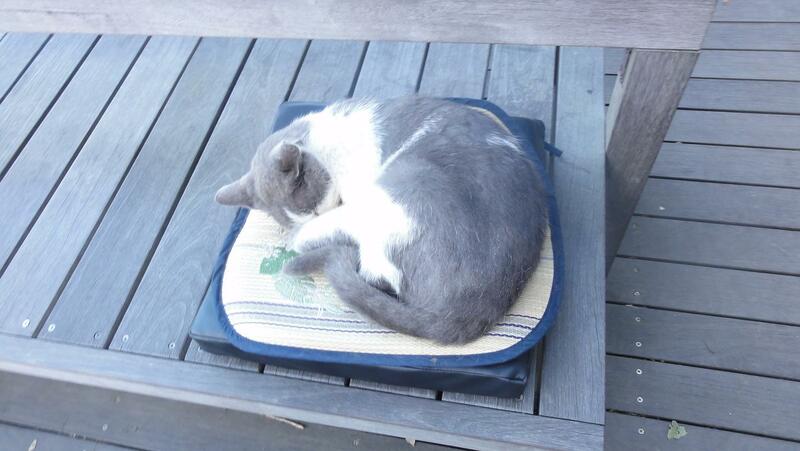 Japanese cats seemed even lazier than the average cat. We said goodbye to the group who had to catch their airplane home, and wandered the island a bit more… But not too much, as we were also in a bit of a hurry to get back. Our concert we’d got tickets for was starting in Shinjuku in just a couple of hours! But you’ll be able to read about it in the “Special” part at the end of this article series. After the concert, we headed back, stopping at the supermarket first, as we hadn’t had dinner… We decided to get a ramen packet and then cook it ourselves with some hot water. It even had its own bowl and everything, you just had to poor water. 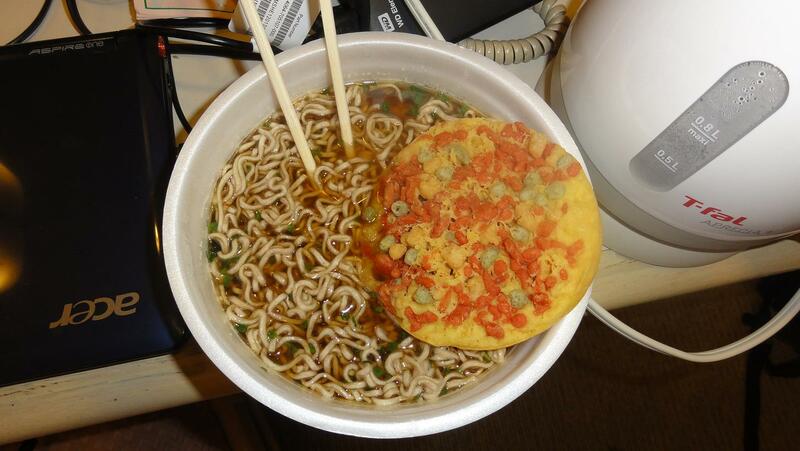 There was something like a pizza biscuit inside, it was quite delicious, more so than the ramen itself. We decided to head to Nagano in the morning. Without the group, we immediately started slacking and couldn’t leave as early as we wanted to, missing a couple of Shinkansens in the process. The Asama Shinkansen between Tokyo and Nagano (長野) takes the 233 km distance for a measly 100 minutes, so, despite the late start, we were there well before noon. Still, our top priority in Nagano was visiting the famous Monkey park nearby, and we quickly found information how to get there. We had about an hour until the next bus going that way, so we decided to wander around the city a bit. 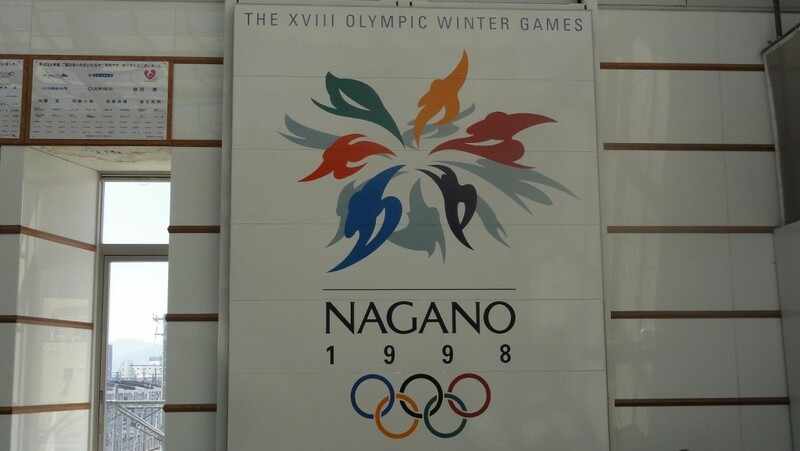 Nagano was where the 1998 Winter Olympics took place, and is a special location for Bulgarians – our Ekaterina Dafovska become the first Bulgarian to win a gold medal at Winter Olympics there, in the biathlon 15km race. The Olympics spirit can still be felt around the city, with a lot of the buildings and monuments preserved exactly as they were then. 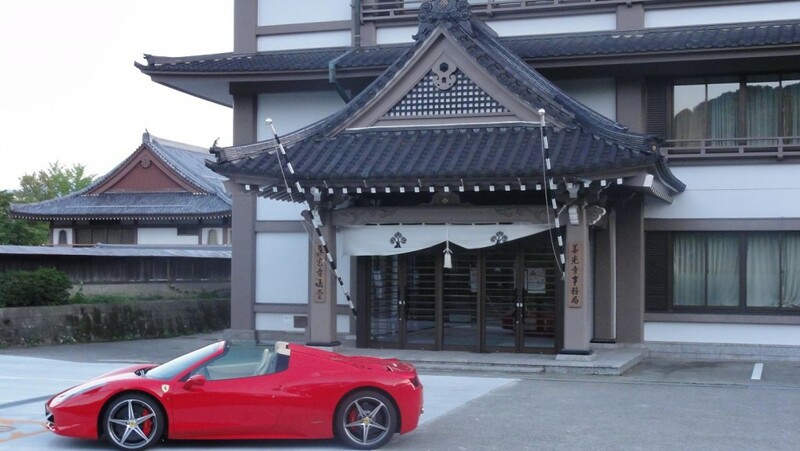 It’s a really beautiful city with a large Buddhist temple called Zenkoji. It’s a bit far from the train station, and we headed in that direction, but ultimately decided to come back, as, at best we would’ve reached it and needed to get back immediately to catch our bus. Nagano, despite being relatively large, still has a bit of the smaller town feel about it, a feel that eases my mind and makes me happy. It was soon time for our bus, and we were the only ones on it, along with another foreign couple. 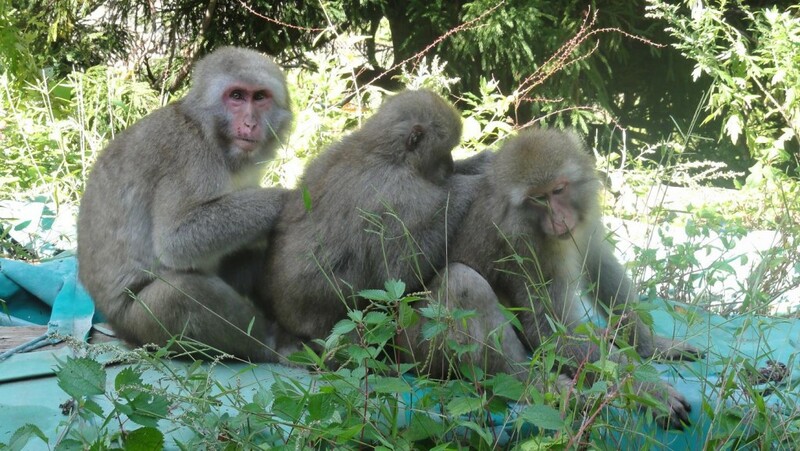 Destination – Jigokudani Yaen-koen (地獄谷野猿公苑), the famous snow monkey park! We soon reached our stop, but there were still some 30-40 minutes of walking ahead, though a beautiful forest with some streams. It was quite wonderful to come close to Japanese nature once again, and there were plenty of signs letting us know how much was left until the monkey park. A sign said we could even meet a(nother) Japanese serow nearby, unfortunately we weren’t so lucky. 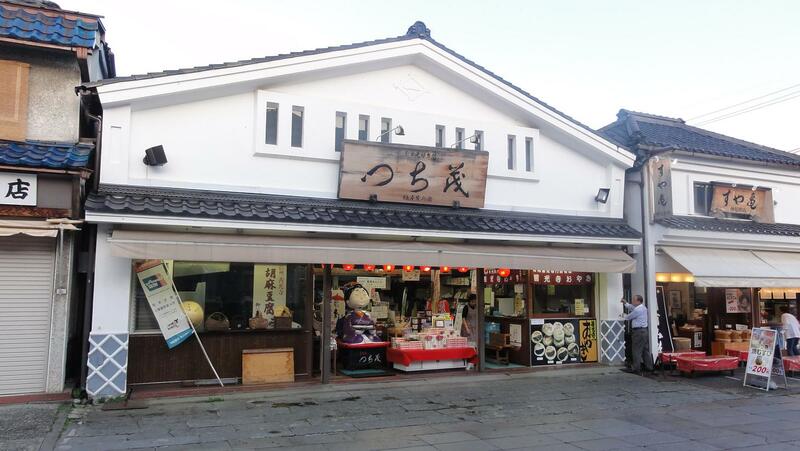 But we were quite happy to have even met the one in Takayama. Soon, we reached the park, and found out that it was actually quite small… A little walkway, an onsen-like pool, and an inaccessible bridge over a huge river below that was thundering fiercely. We’d imagined a real park in the caliber of other parks in Japan we had walked in. But… Monkeys everywhere! All around us. They paid practically no attention to the visitors, who were also forbidden from petting or feeding them (or bringing any food at all, as monkeys would try to take it). The monkeys were of the Japanese macaque variety, some were picking fleas off each other, others were playing with one another, others were just chilling… We walked back and forth, taking pictures and filming them. It was great fun! Interestingly, the Japanese have even got the monkeys of Jigokudani on a work schedule… They apparently sleep in the forest, then come down to the park in the morning, fool around all day to visitors’ amusement, and then get back in the forest in the late afternoon… Talk about a strong organisation. After a while, a couple of monkeys finally interacted with us, one of them playing with my wife’s sandals, and the other getting angry at me for making a “V” sign behind its head for a picture. 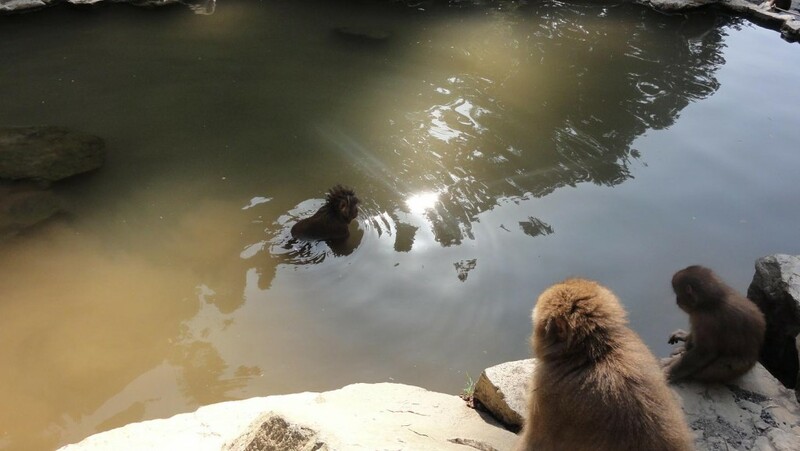 A few monkeys decided to take a swim in the onsen, too – apparently, that onsen is a real treat to watch in the winter, when all monkeys gather inside to take refuge from the cold winter in its hot water. 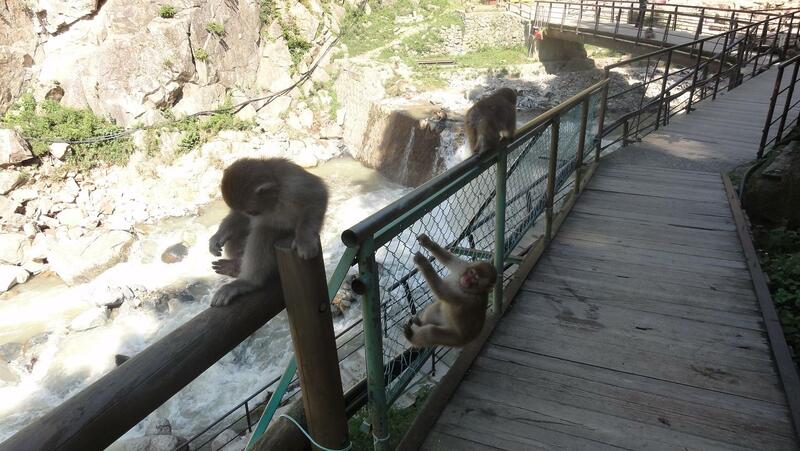 It was fun watching the little monkeys playing all around us, but eventually we’d had enough and headed back to Nagano to see something else. Unfortunately, another of Nagano’s interesting sights, the ninja museum, was also quite far from the city, in another direction, and we’d not be able to make it there before 5 PM, when it was closing. 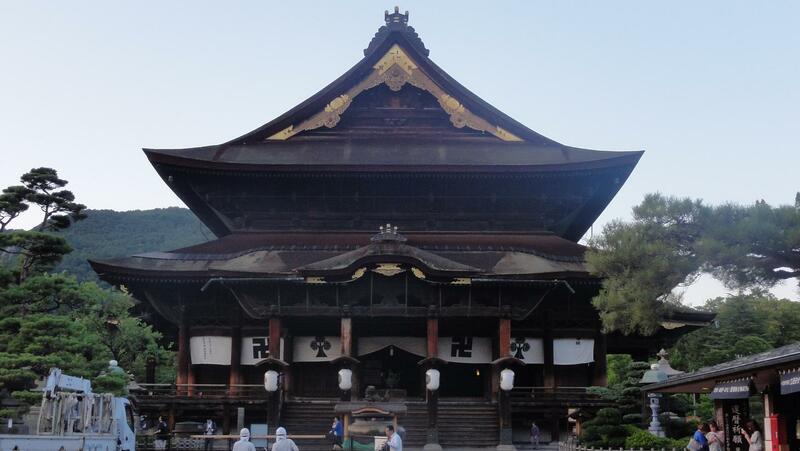 When we went to the temple, most things around it had also closed… You really have to get into Nagano VERY early in the morning (or spend a night there) to truly experience enough of it. Nevertheless, the temple was quite beautiful, one of the best ones we’d seen in the whole trip, unlikely as that sounds, considering the places we’d been. On our way back, as we weren’t in a hurry, we could appreciate the wonderful little shops on a beautiful street leading to the temple. Suddenly, as we were slowly walking towards the train station to catch our train back to Tokyo, a Japanese elderly woman started talking to us. I even think she was inviting us into her house, but we could hardly understand anything she was saying. We tried to talk with our limited Japanese knowledge, and the little we said did get across, but the problem was we couldn’t understand a thing she was saying, save for a few words here and there (like that we probably had no time), far from enough… Finally, we thanked her and left, but I felt pretty sad and helpless – an unknown language is such a huge hurdle in human communication. We could feel her kindness and good intentions, and I wish we could have actually had a real conversation with her… But alas. It was that situation that strengthened my resolve to get better at Japanese, at least spoken Japanese.